“….The image of Africa in many minds, elsewhere in the world, is of a Hopeless Continent. It is a place of disease, famine, poverty, corruption and war. There is some truth in all stereotypes but never the complete truth. A single story is a dangerous thing, as the Nigerian novelist Chimamanda Ngozi Adichie puts it. Life is composed of many overlapping stories which can be used to malign or dispossess but which can also empower and humanise. A story can demonise. Or it can repair a broken dignity. “So Africa is a tale of two continents. Or perhaps more. But the story that we in the West resist is the story of an Africa whose moment may be about to come. “Where, we might ask ourselves, does the future lie? Here in the old world of Europe, with its currency crises, national deficits, denuded natural resources, high expectations and ageing populations? 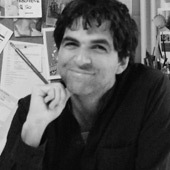 Patrick Chappatte is the editorial cartoonist of the International Herald Tribune. He also works for Neue Zurcher Zeitung, in Zurich, and Le Temps in Geneva, where he lives.